Situated in the Persian Gulf, Dubai is the largest city in the United Arab Emirates. It’s the most populous and probably the most famous city in the federation and also one of the fastest growing economies in the world. Over the years, this urban oasis in the desert has become a place known for its luxury and extreme opulence. Extravagance and over-the-top architecture are Dubai’s hallmarks and they attract tourists like a magnet. 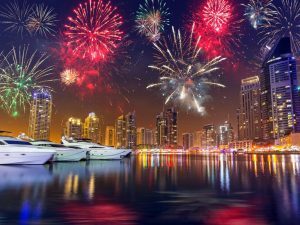 You can imagine that celebrations in Dubai are nothing short of spectacular and that is why spending the New Year’s Eve in this fascinating city is so tempting. Wherever you choose to welcome the New Year in Dubai, you are sure to experience fireworks displays like you’ve never seen before. The magnificent pyrotechnics light up the city from various locations, offering everyone the world’s most spectacular fireworks show. 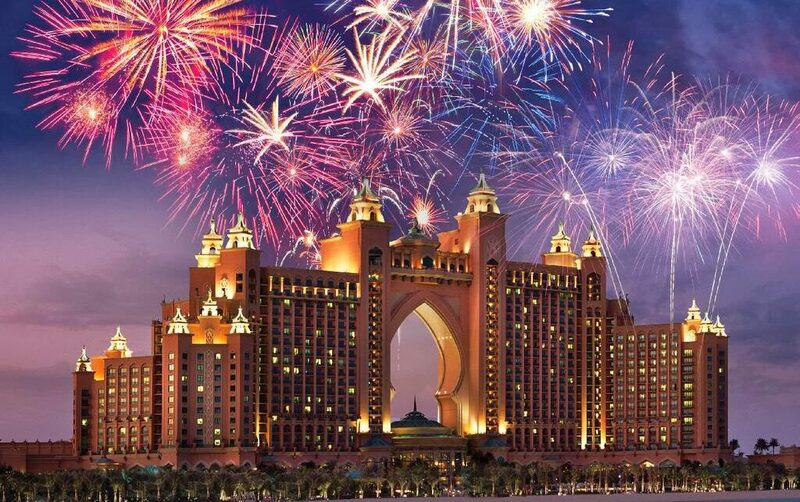 Start the New Year at one of the most amazing beach parties at Atlantis, The Palm resort, where you can dine in style at Atlantis Gala Dinner Under the Stars and party like royalty, all while admiring the mesmerizing view of Dubai’s cityscape. Burj Al Arab, considered the only seven-star hotel in the world, is the place where you can see one of the longest and most impressive fireworks shows in the city. The hotel’s many restaurants will offer the most incredible New Year’s Eve dining experiences in an elegant and festive atmosphere. Burj Khalifa, the world’s tallest building, will make you feel like you are on top of the world at the start of a new year. Special New Year dinners, great entertainment and views you cannot beat are going to make your night memorable. If celebrating the New Year once is not enough for you, then head to the Global Village. There will be seven celebrations in synchronisation with the arrival of the New Year in Philippine (8 pm), Thailand (9 pm), Bangladesh (10 pm), India (10:30 pm), Pakistan (11 pm), UAE (12 am) and Istanbul (1 am). For each time the clock strikes midnight in one of these countries there will be splendid fireworks displays. Of course, the most impressive one is dedicated to the UAE New Year and it will last for seven glorious minutes. As an alternative to all the fancy hotels and restaurants, you can choose to spend the New Year in a special, but not less spectacular way by boarding a luxury yacht. You can have a more intimate celebration with fine dining, live entertainment and breathtaking views while cruising the Arabian Gulf or Dubai Creek. Another unique way of spending the New Year is a Bedouin-style celebration. You will be heading out into the desert to experience local hospitality and traditions. Enjoy a delicious barbecue dinner, camel rides or henna tattoos for an unforgettable night under the desert stars. There’s no place under the sun that can compare to Dubai in terms of entertainment and self-indulgence. What better place to step into the New Year than this scintillating city where entertainment is king? 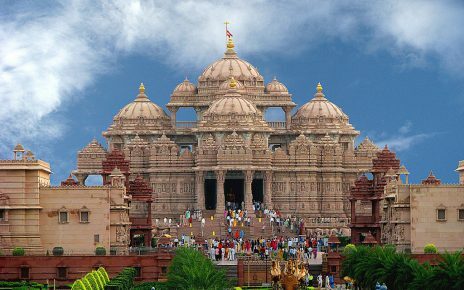 Spread the loveIndia and the United Arab Emirates are for many people two dream destinations for spending their holidays. Exotic, unique and intriguing, they attract millions of tourists all over the world each year. But the similarities most likely stop there because India and UAE couldn’t be more different.